Anker Monday deals are now live with a bunch of great discounts on speakers, headphones, cables, wireless chargers. Everything is compatible with the mighty new Galaxy S9 and Galaxy S9+ smartphones. 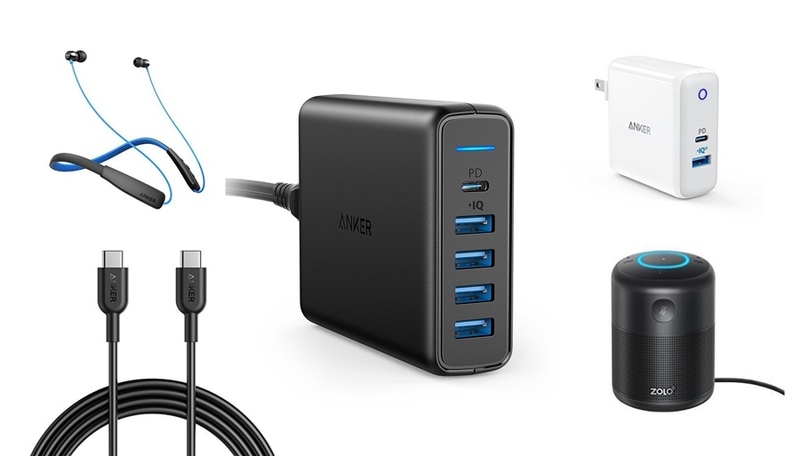 Anker is definitely going all-out with its deals today and everything listed below is worth one look at least. Kicking things off is a discount on the ZOLO Halo Bluetooth speaker, which is down to just $28.99 from $59.99 if you use the code MarKINJA at checkout. It’s not a regular speaker by any means, it packs Alexa under the hood which makes it extremely smart. Moving on, the Anker Soundbuds Lite are discounted as well, offering users a discount of $20 when the code 50ANKNEK is applied at checkout. Lastly, the SoundCore Sport XL is seeing a wonderful deal that lands you not just the speaker itself but a free LC40 flashlight if you apply the code BEST3181 at checkout. A lot of cables are discounted today, which includes a 30% discount on the PowerLine+ USB-C to USB-A cable 3-feet, PowerLine+ USB-C to USB-A 3.0 cable 6-feet, PowerLine II USB-C to USB-C cable 3-feet as well as the PowerLine II USB-C to USB-C cable 6-feet. Just don’t forget to apply the code ANKERBEST at checkout to get the discount. Chargers are discounted today, of course. Starting things off is a discount on the new PowerPort II with Power Delivery charger, that’s down to $25.19 from $35.99. This is not an ordinary charger at all; it features USB Power Delivery as well as PowerIQ 2.0. Basically it has ‘fast’ written all over it. If you want to take things up a notch, then you’ll be pleased to know that the PowerPort 1 with Power Delivery is discounted to $37.70 from $53.99 as well. But wait, there’s also a discount on the PowerPort Speed 2, which is going for just $16.79. Wrapping things up is a discount on the PowerPort Wireless 10 Qi wireless charger which is a perfect companion for any Galaxy S9 out there. All of the aforementioned discounts can be had if you apply the code ANKERBEST at checkout.